Meet Nellie. She is a MultiGen Australian Labradoodle. She has a FULL fleece coat and is great with the kids that live with her. She is a sweetheart! Meet The Big Q! 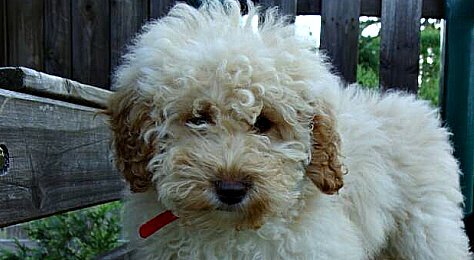 He is a gorgeous Teddy Bear Labradoodle from a breeder in South Carolina. This is Grace, a Mini Australian Labradoodle! She is an adorable deep chocolate and loves to play with a tennis ball. She is also great with a small frisbee. She's only in the 10 pound range, so she makes the perfect lap dog! This is Sidney. 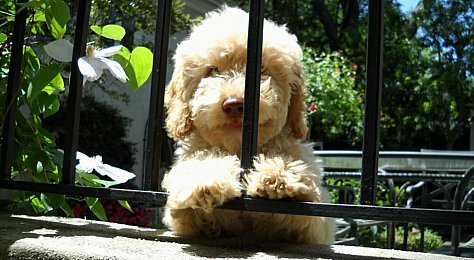 He is a Cream Australian Labradoodle posing behind a fence. He is adorable! This is one of my favorite pictures. This is Grace, a Mini Australian Labradoodle! She is an adorable deep chocolate and loves to play with a tennis ball. She is also great with a small frisbee. She's only in the 10 pound range, so she makes the perfect lap dog! She is from Mountain Creek Labradoodles, the top breeder of Mini Labradoodles. Meet The Big Q! He is a chocolate Australian Labradoodle and is built like a teddy bear! 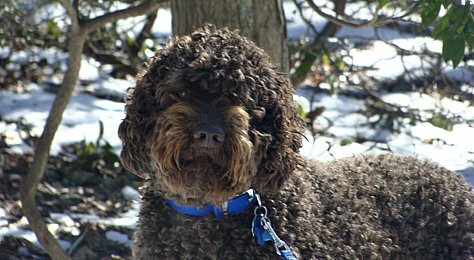 He is a stud dog from an Australian Labradoodle Breeder in South Carolina. Meet Nellie. She is a MultiGen Australian Labradoodle. She has a FULL fleece coat and is great with the kids that live with her. She is a sweetheart! 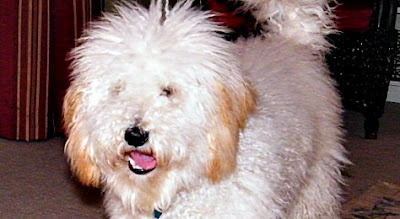 Check her out at Mountain Creek Labradoodles' breeding Labradoodles page. Meet Boone! He is a Mini Australian Labradoodle puppy from Mountain Creek Labradoodles in South Carolina. He is going to be a featured Stud Dog at their program. 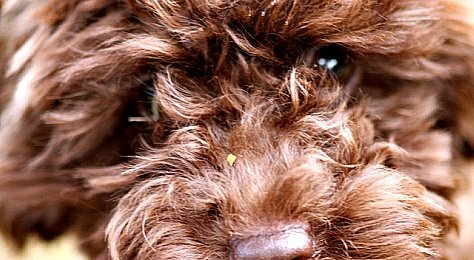 You can visit their website by clicking on Australian Labradoodle Breeders. Boone has a really soft fleece coat and the sweetest personality! Here is a newborn Australian Labradoodle puppy from Mountain Creek Labradoodles. They were just born yesterday! This is from their litter of Australian Labradoodle Puppies.